This is one of my trusty favorite recipes. It is tangy and sweet, light and yet filling! I had a copy of it for a long time but misplaced the piece of paper and didn’t know what cookbook it had come from. So last week I was thrilled when I finally found it again! I have gone ahead and ordered a copy of the cookbook so I won’t lose it again! 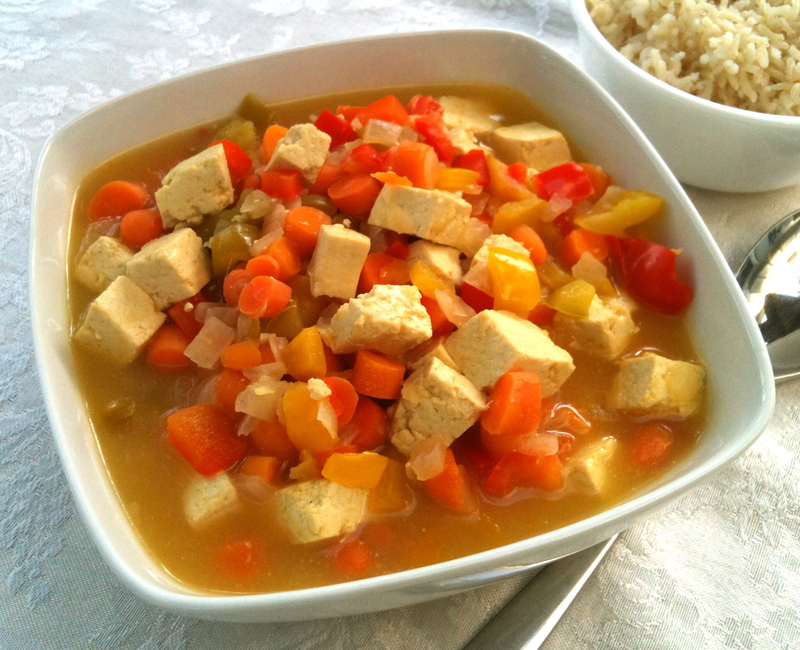 The recipe comes from Cooking Vegetarian by Melina Vesanto and Joseph Forest. I have adapted it slightly reducing the sugar and doubling the recipe. 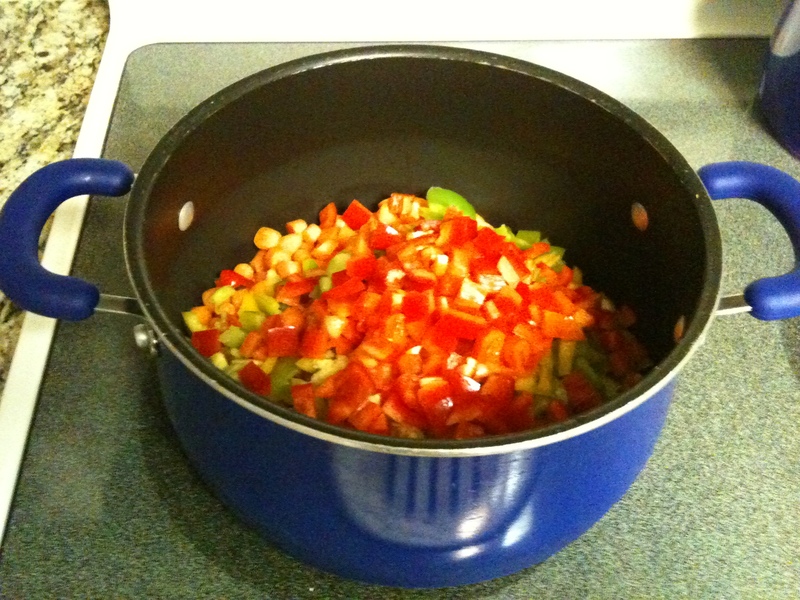 I also found it best with more sweet pepper than green pepper. Cook onions, carrots, peppers, garlic and ginger in 1 1/2 tbsp of canola oil on medium heat for approx. 5 minutes. 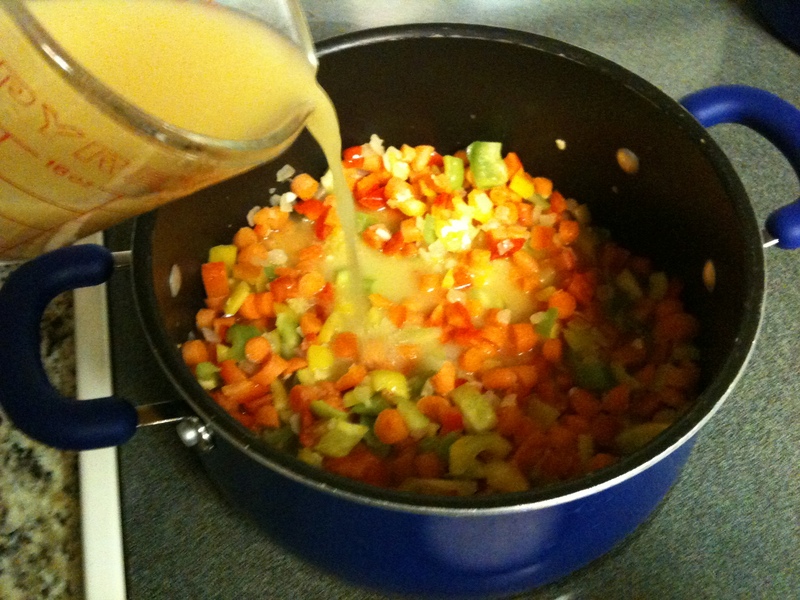 Whisk together the pineapple juice, sugar, vinegar and cornstarch and add to the vegetables. 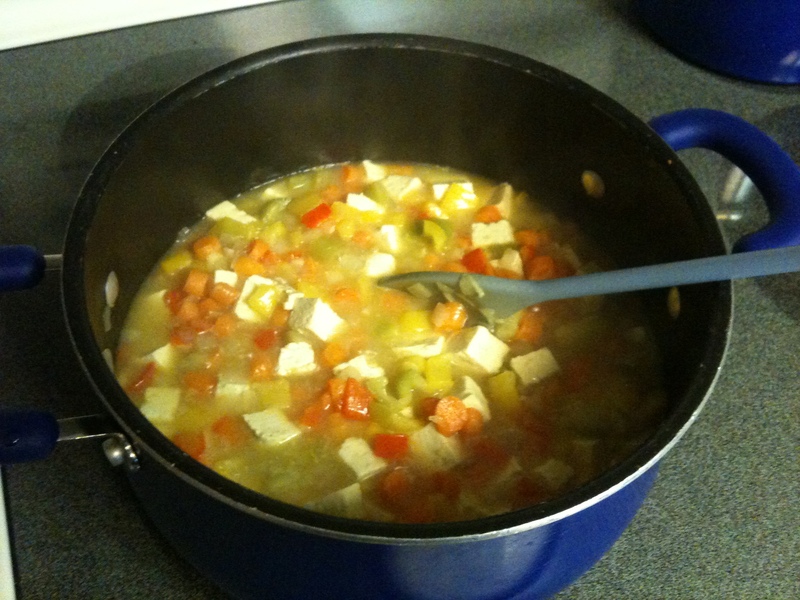 Add the tofu and stir constantly until thickened. Cover and simmer for approximately 3 minutes. Serve on a bed of rice. I used brown basmati rice and it was excellent! ← Pumpkin Oatmeal Cookies – Good and Good for You!